To prepare your home for celebrations, parties, other occasions or deep clean after them, use our affordable one-off cleaning services. They are implemented by professionally-trained cleaners who use state-of-the-art equipment and have many years experience. Whether you need thorough sanitising of all rooms in your home or want to prepare your estate fro sale or renting out, call us to make an appointment with our cleaners. 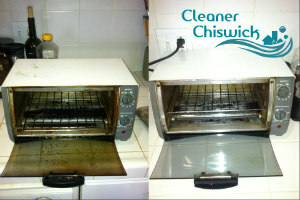 The one-off cleaning which we offer in and around Chiswick W4 is available during all weekdays, weekends and bank holidays. Our cleaning workers are punctual, use effective and professional equipment of machines and detergents for sanitising that is provided by our company. They inspect the estate and prepare a quote to the customer. The cleaning work will be carried out at the most preferred by the customer day and time. Our cleaners will wipe the entrance door, hoover the carpet, wash the hallway floor if it is necessary. They will remove the dust from the light switches, sockets and light fittings in all rooms. The cooking, cooling and all electric appliances in the kitchen will be de-greased inside and out, the worktops and sinks – washed and wiped. Contact our call centre or use our online chat to reserve the one-off cleaning which we provide in Chiswick and your domestic property will be sanitised completely and well. Our cleaning staff will remove the dirt and smudges from the inside of the windows and sills, scrub and wipe the tables, skirting boards and all pieces of furniture. 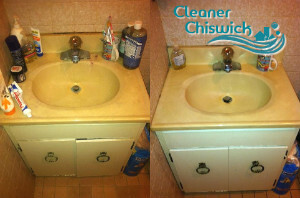 They will wash and disinfect the bath, shower, tiles, toilet and toilet bowl. Our cleaners will also remove the lime-scale from the bathroom. Save your free time and rely on our employees to provide the one-off cleaning which you need for your home, located in W4 or anywhere nearby.